Is Juicing Safe For Pregnant Women? 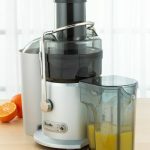 Crunch & Fizz > Juice Fast > Is Juicing Safe For Pregnant Women? Wanting what’s best for you and your baby is the most important thing during pregnancy. Some may ask, “is juicing safe for pregnant women?” The answer is simple. Many women juice fast for a few days while pregnant too. 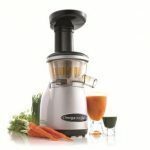 Did you know that juicing fruits and vegetables during pregnancy is actually giving your baby the best micronutrients that they will probably ever get? This type of food intake is optimal for pregnant women. With today’s food quality going down every year and all the nutrients removed from food that we buy, and with all the processed food that’s in an average persons diet. This is so preferential to do this while pregnant. 1. Your baby gets the best vital nutrients for their growth and development. 2. You get the best nutrients and your internal organs get nourished completely for the job your body is doing. 3. More energy, feel rejuvenated, and even healthier. 4. Even if you are eating while juicing, you still receive the vital nutrients that you both need. 1. You can juice fruits and vegetables everyday and include the drinks daily along with your meals or in between. 2. 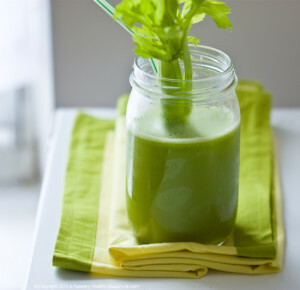 Juice fasting is only recommended on an occasional basis for 1-2 days each month. No more. 3. 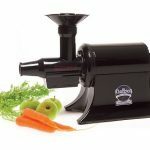 Juice fasting should be done in moderation but juicing can be done everyday. 1 .Micronutrients help all of your baby’s developing systems. The skeletal system, nervous system, muscular system, circulatory and cardiovascular systems and so many more. 2. Some disease and birth defects can be discouraged by adding a juice in everyday. 3. Studies show that babies who receive optimal nutrition while in the womb have better mental and emotional stability later in life, better eating habits and make better food choices, have a lower rate of obesity as an adult. 1. If you have certain conditions you should speak to your doctor before taking up anything new. Conditions like diabetes can actually be helped by juicing. 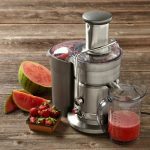 A few changes would be necessary and adjusting the individual fruits juiced. For instance; you may not have too much fruit in your daily intake but you would be able to add more vegetables. 2. Mix many fruits and vegetables up using moderation and not too much of any one food. For example; do not juice two bags of carrots and drink them. You can hurt yourself when using just one food. Using a mix will prevent over dose of certain vitamins in the vegetables like vitamin A. As long as your mixing them up and using a few of each there is nothing to worry about. 3. Do not rely solely on juicing for a diet plan. Growing babies need many more nutrients that you cannot get from just fruits and vegetables. An optimal diet should consist of many different unique substances for your overall health and wellness for you and your growing baby. For example; protein from eggs, meat, or fish. Key nutrients in nuts and seed. Fats from healthy substances like olive oil and coconut oil. 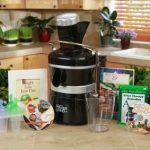 Making wise food choices as well as including juicing in your daily food routine will provide a complete balance for you and your growing little sprout.